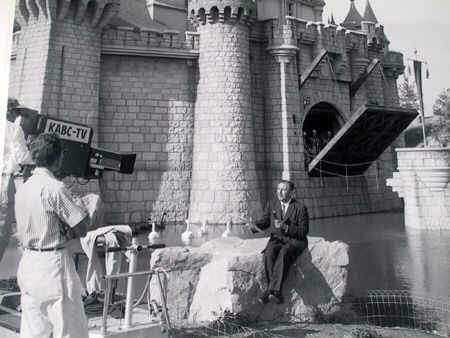 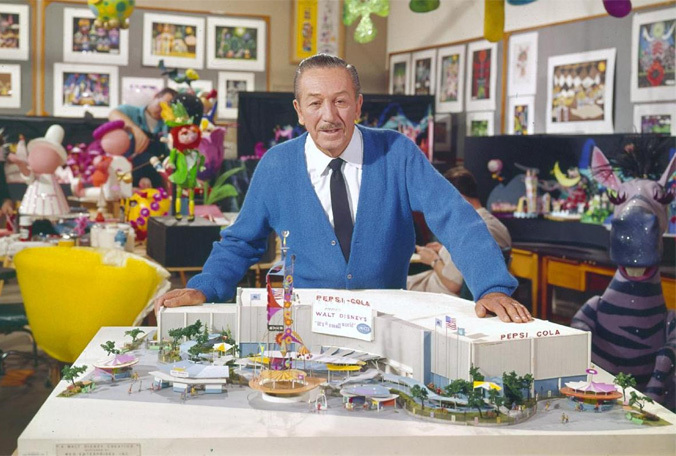 In Part One of a five part series on Disneyland, I went into detail about the origin of Walt’s idea for his famous park and the building process that took a little less than one year complete. 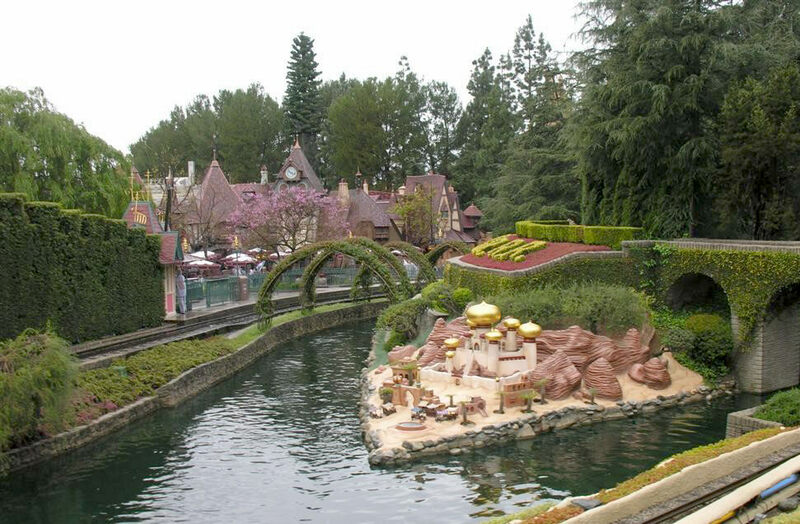 In the additional four posts in the series I will feature the eight different “lands” of Disneyland – Main Street, Fantasyland, Adventureland, Frontierland, New Orleans Square, Critter Country, Tomorrowland and Mickey’s Toontown. 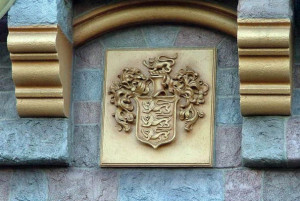 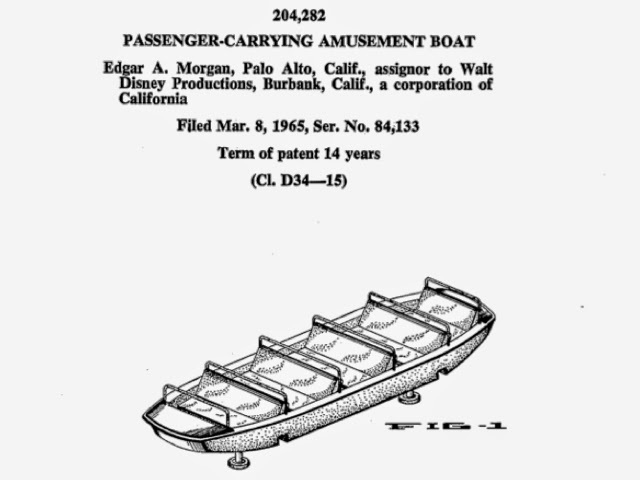 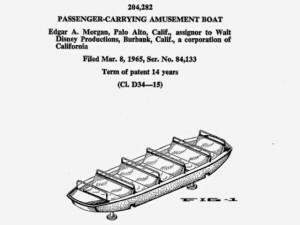 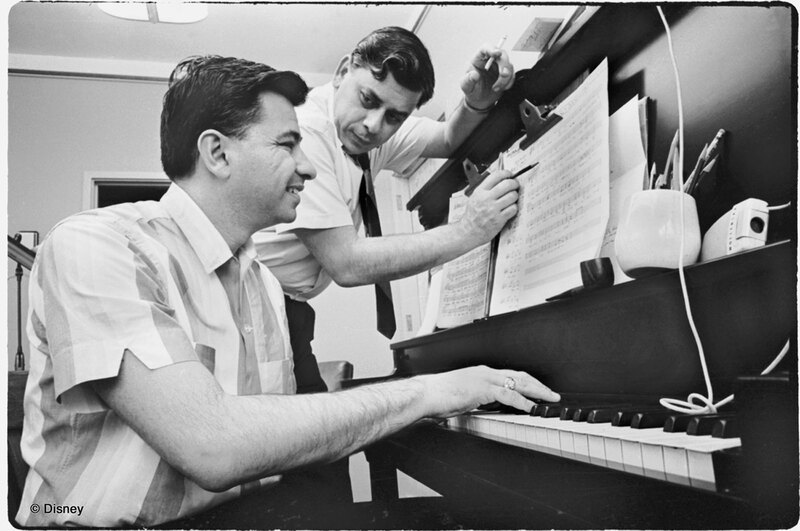 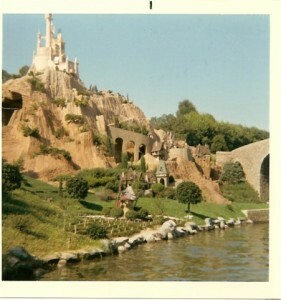 In this post I will discuss two of the original “lands” in Disneyland. 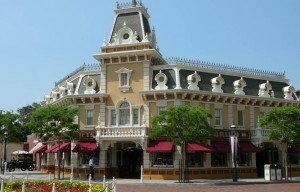 The first “land” is Main Street which is located at the entrance to the park and it is the first area that guests see. At the end of Main Street is an area called The Hub from which the various other “lands” of Disneyland can be reached. 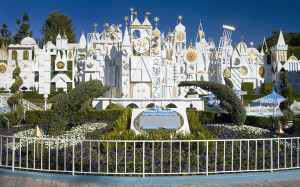 Located near the center of the park is the Sleeping Beauty Castle which is the entrance to Fantasyland. 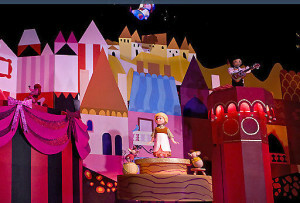 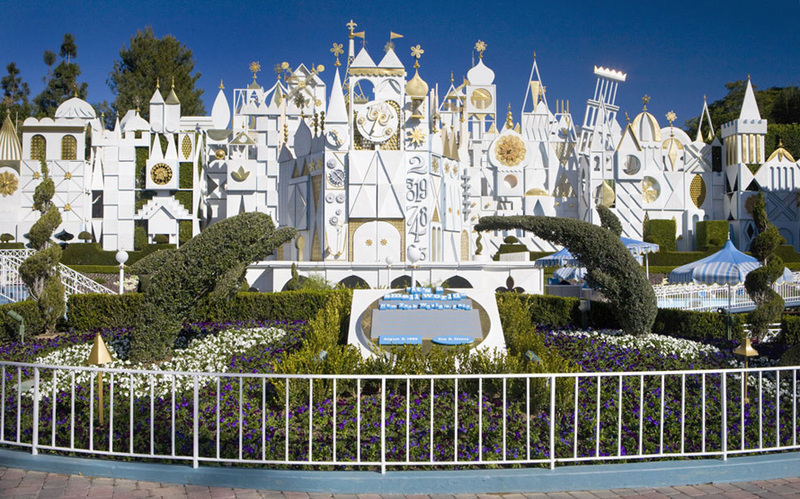 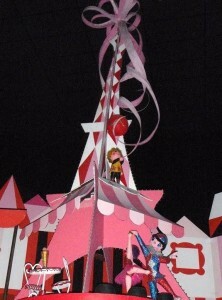 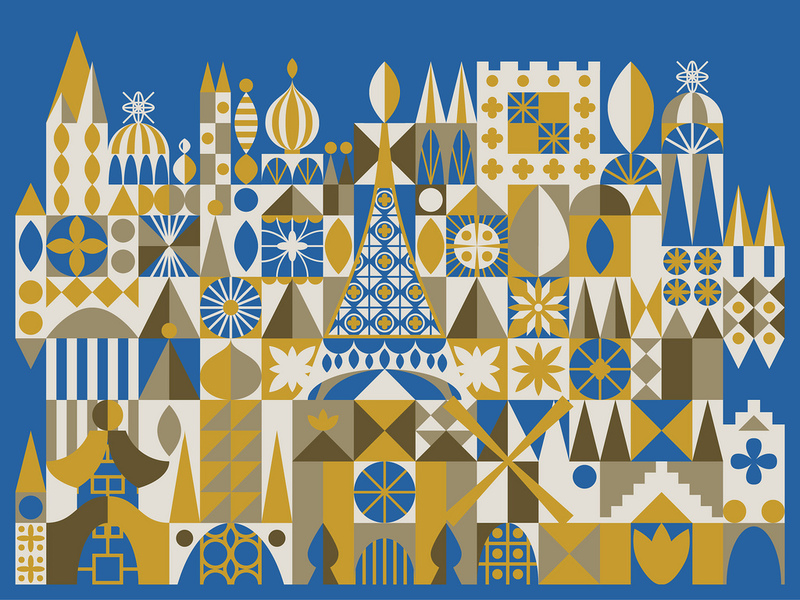 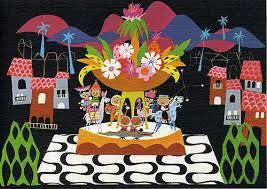 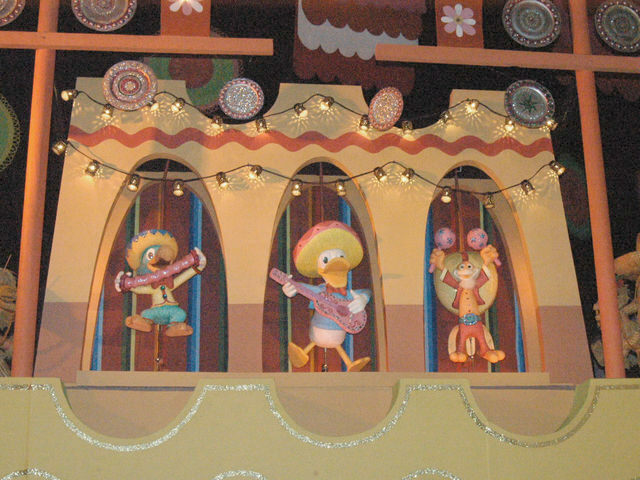 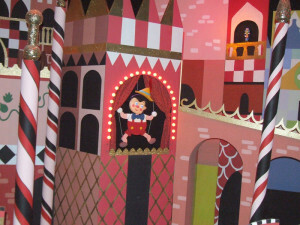 Fantasyland has several rides and attractions that were inspired by many of the famous Disney animated movies. 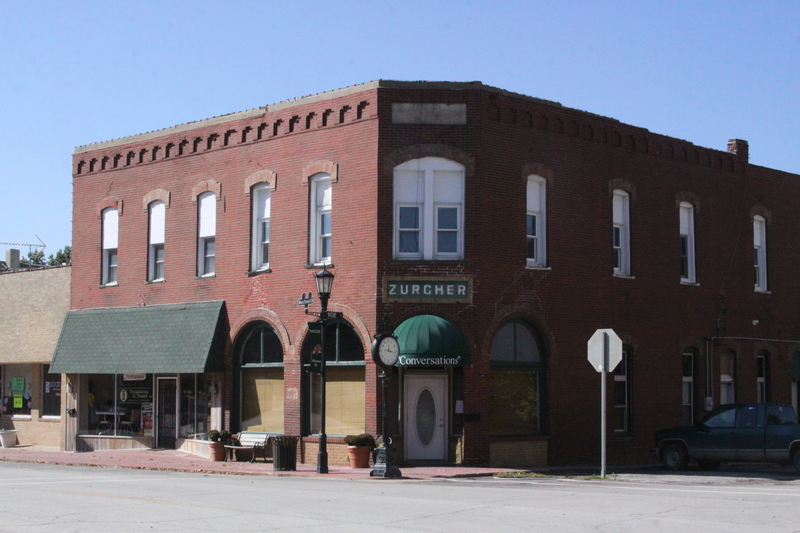 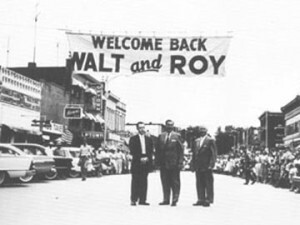 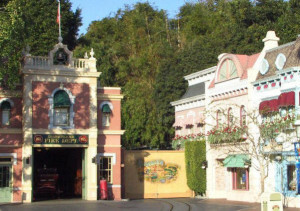 Main Street in Disneyland was inspired and designed to look like Walt Disney’s boyhood home in Marceline, Missouri during the early 20th century, which is the time that he briefly lived there. 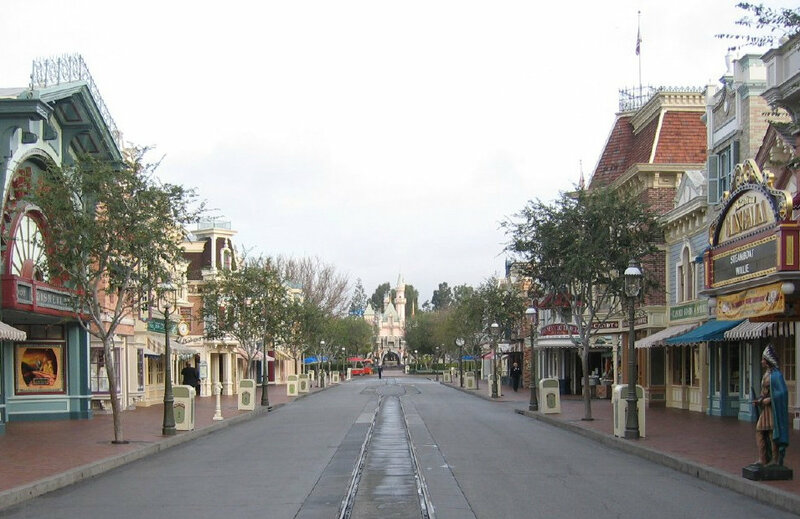 (We had visited this small Midwest town and for more information please click on the link to the December 2013 Travel post) The photos shown below are of Marceline on the left and Main St. in Disneyland on the right, there are many architectural similarities between the two places. For example the Emporium on Main St. in Disneyland resembles the Zurcher store located at the corner of the street in Marceline. 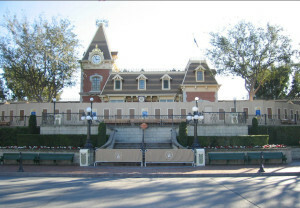 Upon entering Disneyland, guests passing through the main gates will see the Disneyland Railroad Station with the iconic floral Mickey in the front. 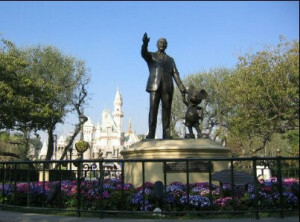 (Travel tip: This spot is the perfect place to take a photo with family and friends before starting the day at the park!) When Walt Disney was a boy living in Marceline he became fascinated with trains and later he had a small model train that ran on a track through the property at his home in the Holmby Hills section of Los Angeles, CA. The Disneyland Railroad is a great way to move around the park and guests can travel throughout Disneyland as the train stops in New Orleans Square, ToonTown and Tomorrowland. 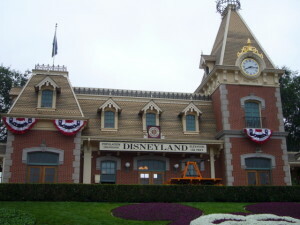 As guests proceed into the park they will pass through two tunnels on either side of the Main Street Railroad station, be sure to look for the sign overhead that reads: “Here you leave today and enter the world of yesterday, tomorrow and fantasy”. Most visitors rush through Main Street section of Disneyland into other areas of the park, but for first time visitors I would suggest time taking the time to browse the stores and look around at all the interesting things to see and the fun things to do. 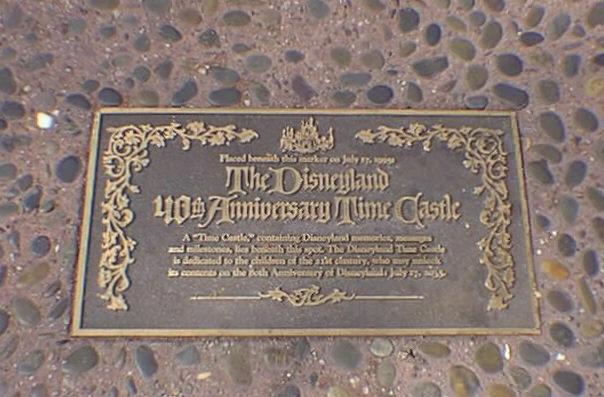 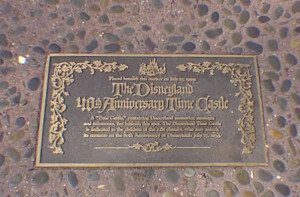 Be sure to look for the Disneyland dedication plaque which has been placed at the base of the flagpole in the Town Square , it marks the opening of the park in 1955. 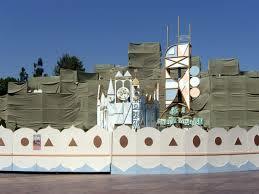 Next, visitors should stop in the Disneyland City Hall regarding park information such as parade schedules, etc. 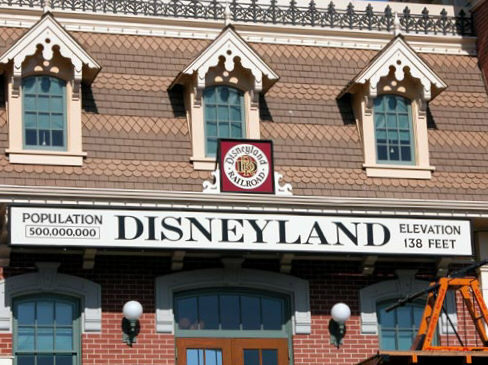 (Travel tip: Don’t forget to mention if you are celebrating a first visit, birthday or anniversary to receive a special free button to celebrate the occasion) Then, after leaving City Hall be sure to look for the light in the window on the second floor of the Fire Station which is located next door, it is lit in tribute to Walt Disney. 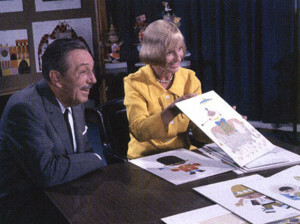 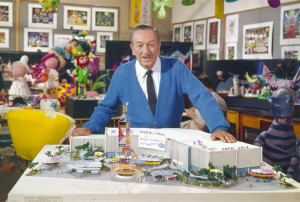 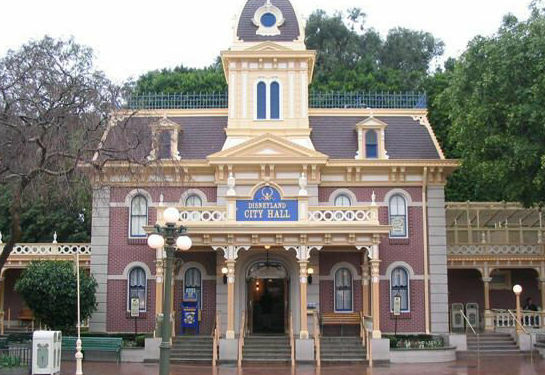 (Travel tip: If you are interested in seeing the private Disney apartment located on the second floor of the Fire Station I would suggest purchasing the Disneyland Guided tour “Walk in Walt’s Footsteps” tour) For first time visitors to the park, I would also suggest seeing the “Disneyland Story” exhibit located in the Main Street Opera House and the “Great Moments with Mr. Lincoln” attraction that pays tribute to a former President of the United States and one of Walt’s favorite people in history. Then, as you walk down Main Street, be sure to check out the wonderful window displays of the Main Street stores and make a game of finding the numerous hidden Mickeys shown in the decorations. 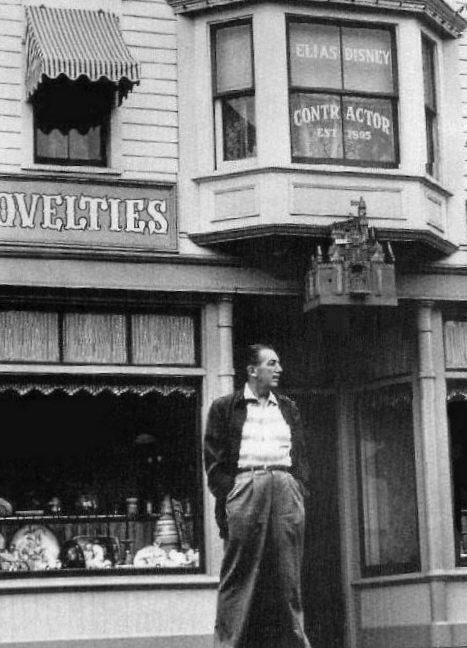 Also look for the special tributes to some of the imagineers and other employees of both the Walt Disney Studios and Disneyland park that are written in the store windows, shown in the old photo is Walt standing in front of the window that honors his father. 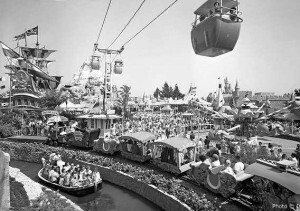 As previously mentioned, the attractions of Fantasyland are based on several classic Disney animation movies and Walt wanted visitors to experience what it would be like to fly with Peter Pan over London to visit Neverland or to travel with Snow White to see the cottage of the seven dwarfs or to visit Geppetto’s village with Pinocchio or go down the white rabbit’s hole with Alice to see Wonderland. 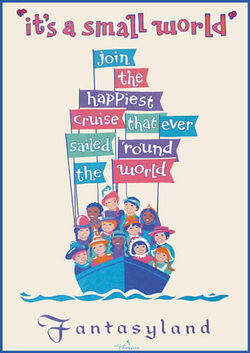 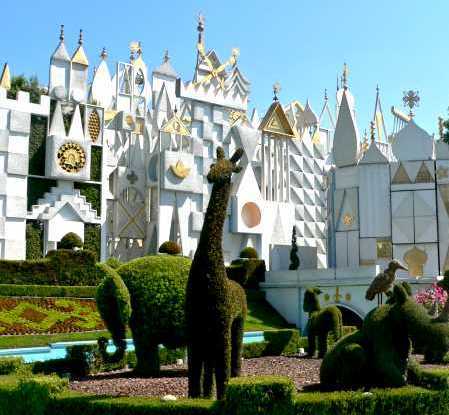 Visitors can take a spin on the teacups from the Mad Hatter’s Party or maybe ride with Dumbo above Fantasyland or ride in the animal cages on Casey Jr’s train or ride on the beautifully craved Denzel horses on King Arthur’s Carrousel. 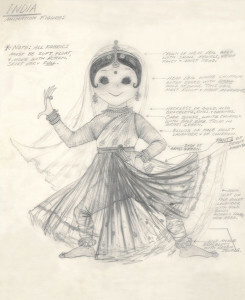 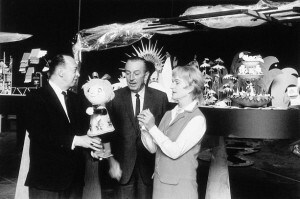 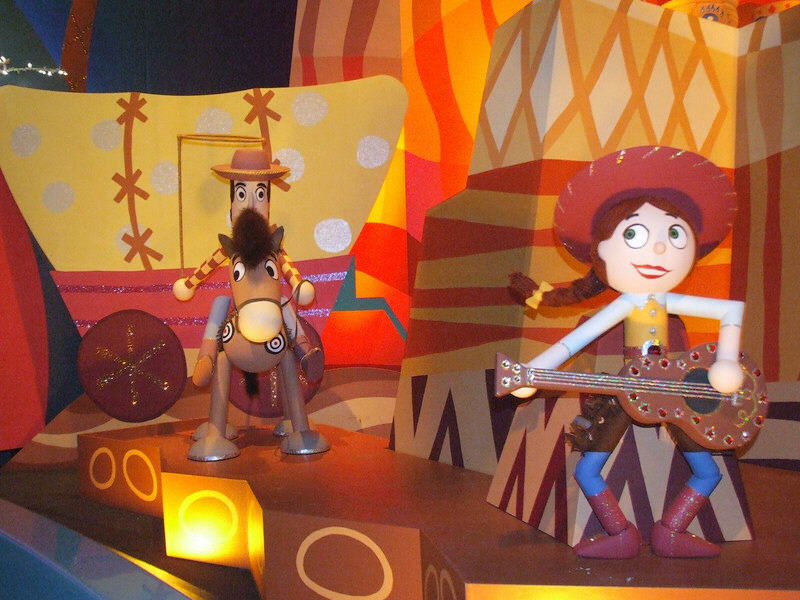 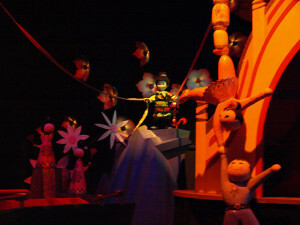 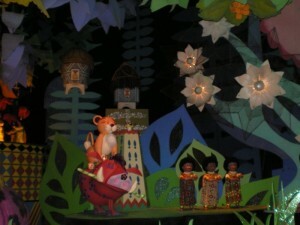 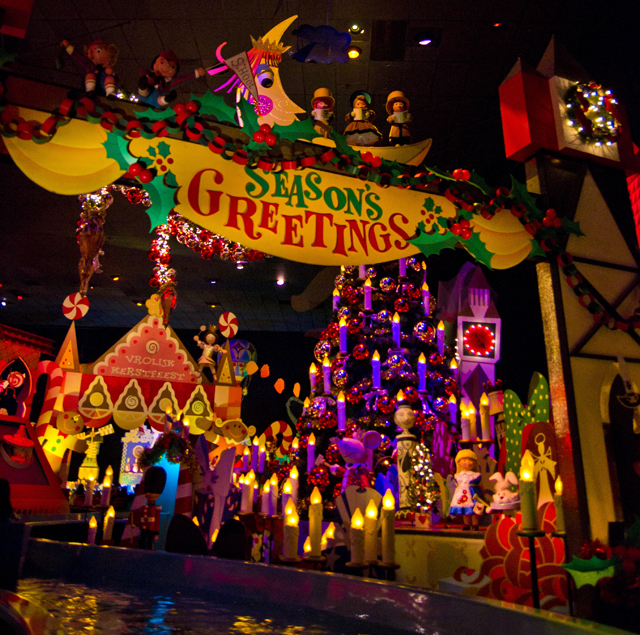 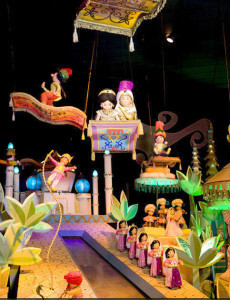 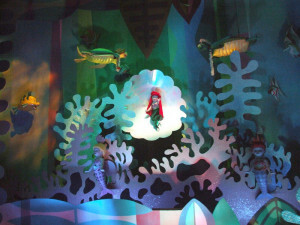 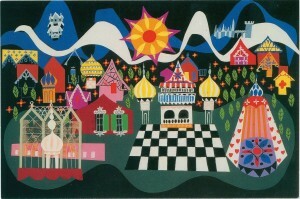 Originally, the term “dark ride” was used to indicate the Disneyland rides that were built within the interior of a “show” building and visitors rode in the dark through different scenes that were painted with fluorescent paint illuminated by black lights, animated props or figures, themed music or sounds and other special effects that were used to tell the story of a Disney film. 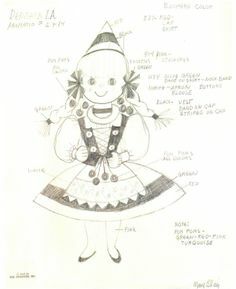 Also the attractions were designed by the imagineers for the guests to experience the ride as if they were the main character of the stories; specifically the characters of Snow White and Alice were not depicted within the older versions of those rides. 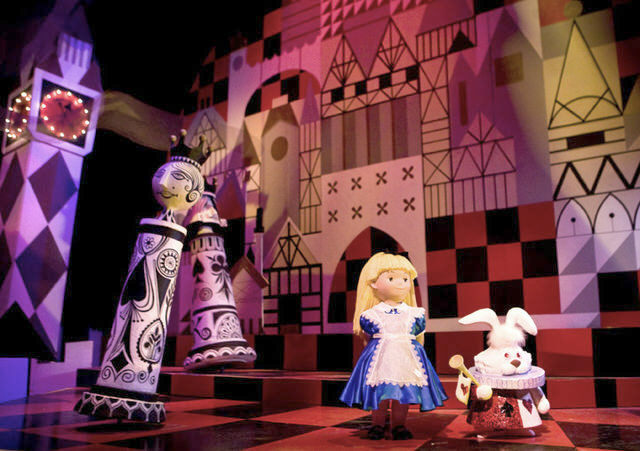 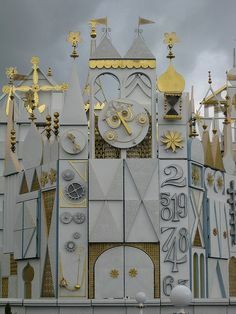 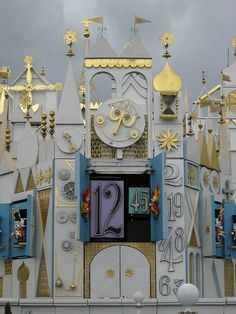 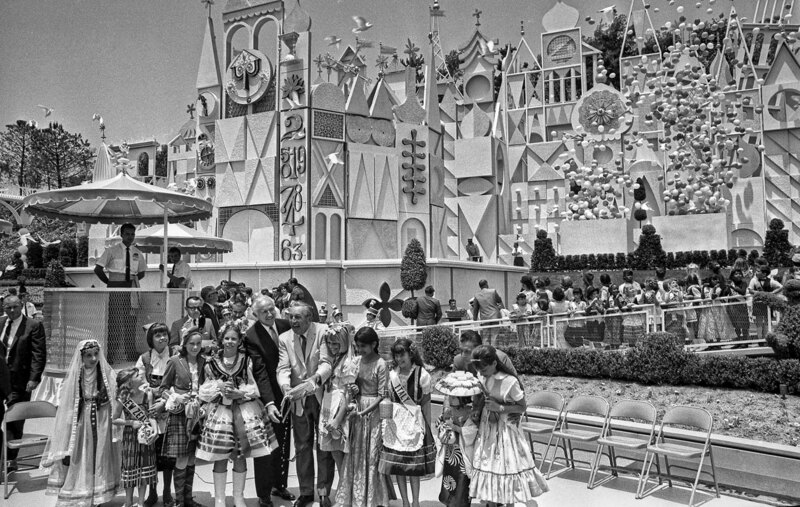 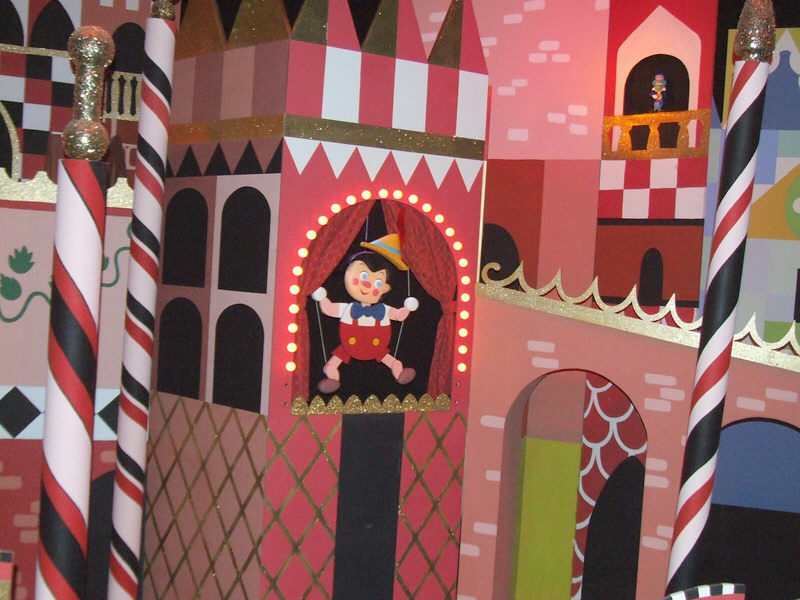 After the 1983 Fantasyland refurbishment several changes occurred during the renovation of the attractions and the main characters of Snow White and Alice were added to give the rides a more complete version of those classic Disney movies. 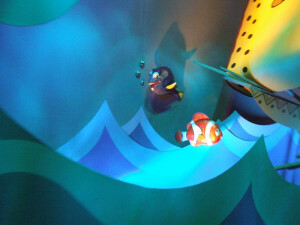 Also with the advance of technology, special effects such as fiber optics and holograms were added into the updated versions of the rides. 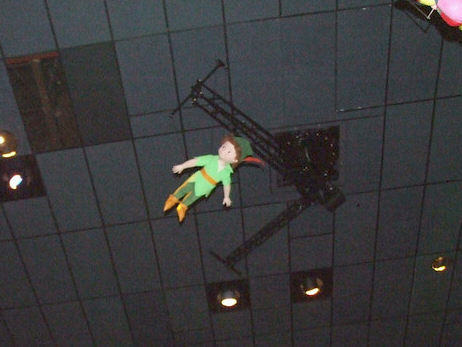 Special note: The majority of the fiber optics in Fantasyland can be found on the Peter Pan ride and the poison apple on the Snow White ride was taken b guests so often through the years that a hologram apple is now used to prevent it from being stolen! The Matterhorn Blobsled attraction was added to Disneyland in 1959 and it was the first steel track rollercoaster in the world and it has become one of Disneyland’s major thrill rides. The Disneyland Matterhorn ride was built in the area between Tomorrowland and Fantasyland and it is 147 feet tall, which is 1/100 the size of the actual mountain located in the Swiss Alps that inspired the attraction’s design. 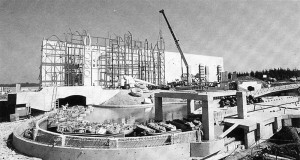 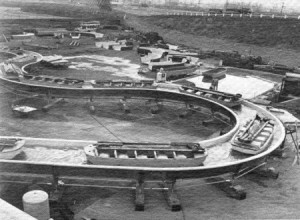 The ride was originally built to hide the support towers for the old Skyway attraction that traveled from Tomorrowland and Fantasyland, the Skyway buckets used to pass through the mountain until the ride eventually closed in 1994. 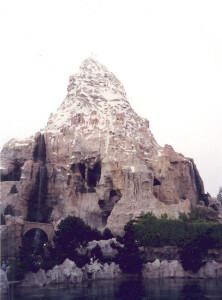 After a major refurbishment of the Matterhorn ride in 2012 at which time the seating changed to single rider bobsleds instead of double seating and the famous Disneyland mountain was once again painted white but tiny glass beads were added into the paint to create the illusion of glistening snow. 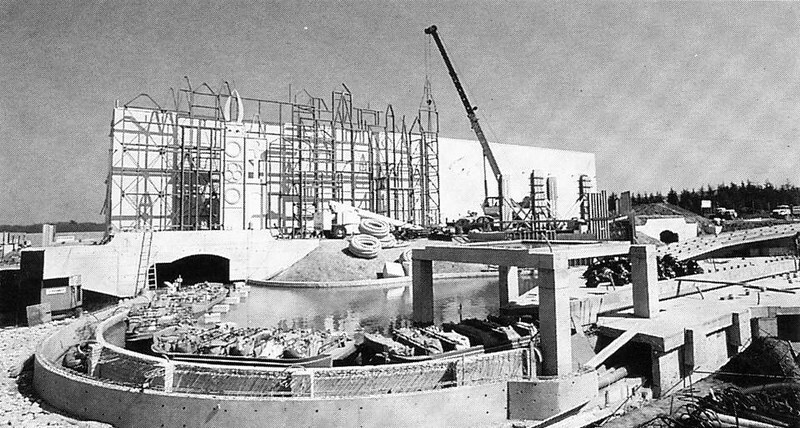 (Travel tip: Be sure to look on the ride for the crate labeled “Wells Expedition” located in one of the snow caves, it was added during the 1994 refurbishment to honor Frank Wells, the former Chief Operating Officer of the Disney Company, who had died that year in a tragic accident. 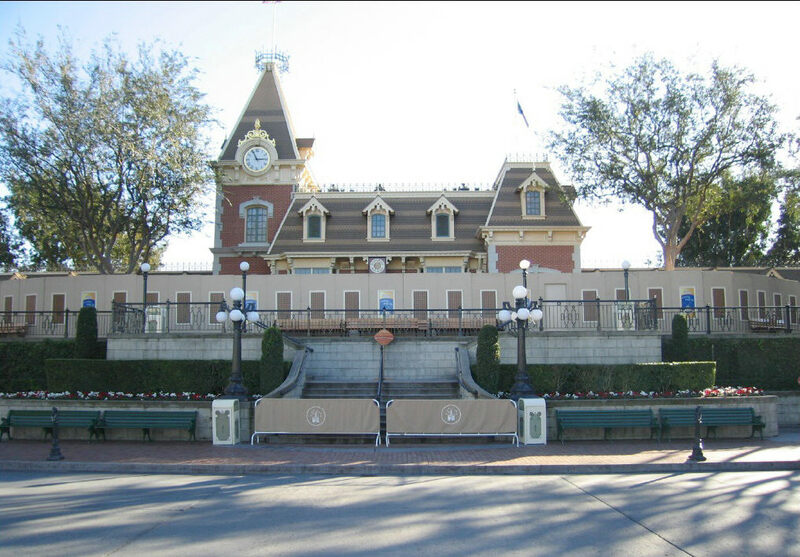 This post completes the tours of Main Street and Fantasyland but be sure to check out the four additional posts in the Disneyland series. 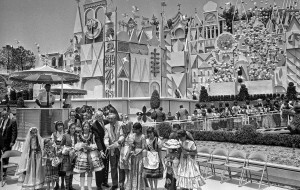 Part One – The history of Disneyland, Part Three – Adventureland and Frontierland, Part Four – New Orleans Square and Critter Country, Part Five – Tomorrowland and Mickey’s Toontown.